Tropicana Casino offers players a number of different casino games online, to accompany their physical casinos. 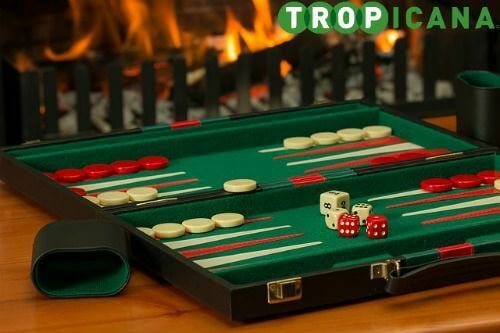 New players to their site can enjoy a bonus that will give them a chance to rack up some funds with house money in their early stages with Tropicana. 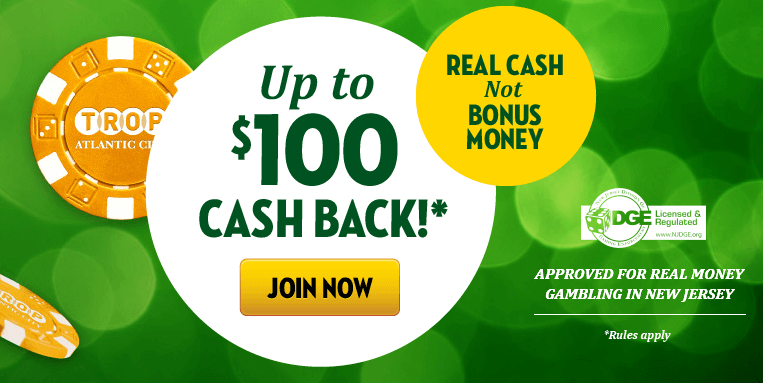 New players can get $100 cash back on their first deposit, so that they are truly playing on the house to start out. What Are The Available Tropicana Casino Bonuses? Tropicana Casino players can enjoy up to $100 back on their first deposit. And that $100 isn't in the form of free bets or casino credit, it is $100 in cash. That is uncommon when it comes to casino bonuses, as most of those bonuses come in the form of some sort of credit that can't be exchanged for cold hard cash. There is no feeling quite like that of betting with the house's money. Knowing that there is no real financial risk to those wagers is freeing, and can still lead to the big wins that everyone wants to experience when betting. Tropicana Casino's welcome bonus allows you to feel that rush, with the added benefit of being able to simply take that bonus money with you without having to jump through a bunch of hoops. In order to get this welcome offer from Tropicana Casino, players have to first make a deposit worth at least $10 to be eligible. They then have to start wagering, and have seven days to do so. Before signing up, check the latest Tropicana Casino promo codes to make sure your deal is valid. In April 2019, the current valid promo code is “get10”. At that point, players can receive up to $100 in reimbursement, which can be withdrawn as cash, without any ludicrous playthrough requirements or other factors that would make it next to impossible to withdraw those funds. It is always important to read the terms and conditions when it comes to promotions such as this one from Tropicana Casino. Doing so allows you to know exactly what needs to be done (or not done) in order to secure the funds that you are attempting to secure. In this case, there aren't too many terms and conditions that would make it difficult to claim this Tropicana Casino welcome bonus, but here is a quick rundown. Players must be completely new to Tropicana Casino, and must be making their first deposit. That deposit must be worth at least $10 to be eligible for the bonus. Once that deposit is made, and the first wager is completed by a player, they have seven days to take advantage of this promotion. It is important to note that withdrawing funds at any point during that seven day period would be grounds for disqualification from this promotion, so be sure to avoid doing so until that window is over. The bonus is a reimbursement of a player's net loss, which is the amount of money wagered, minus the amount of money won. Therefore, a player who deposits $100, wagers $80, and wins nothing, would have a net loss of $80, which they would be eligible to receive in the form of this bonus. This cash will be made available to players within three days of the player earning it, at which point they are free to withdraw it, as long as the balance is greater than $10. As with any business, frequent customers deserve to be rewarded for their loyalty. In the casino industry, loyalty clubs are a great way to thank players who consistently play the games that a site has to offer. In the case of Tropicana Casino, a loyalty program is in place, and gives players the chance to rack up points, which can lead to funds that are able to be wagered around the site. Trop Points are earned as players continue to play in the Tropicana Casino site. For every $40 spent on slots or $100 wagered on all other casino games. Once you've racked up a total of 20 Trop Points, they can be converted to credits on casino games within the Tropicana Casino. Perhaps the most important thing to note when it comes to Trop Points is that they must be continuously earned in order for them to be beneficial to a player. If a player does not earn a Trop Point within a 90 day period, their Trop Points will expire. This could severely impact a player's ability to earn casino credits, so it should be kept in mind constantly. 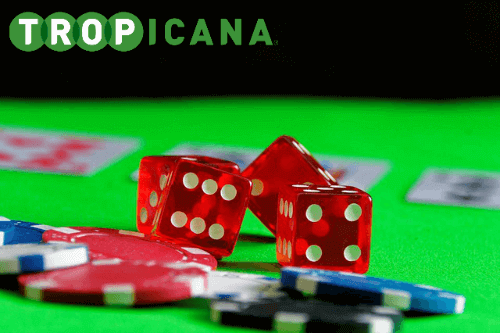 Players who frequently enjoy casino games at Tropicana Casino should consider taking advantage of the Tropicana Casino VIP program. Designed with frequent players in mind, this program does a great job of rewarding loyal players with perks that are exclusive to members of the program. Among these perks are casino bonuses, special birthday gifts, and more. 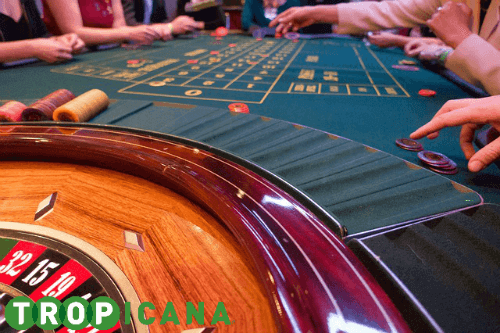 To claim these VIP benefits, players need to contact Tropicana Casino, where they will evaluate your account with them to determine if you qualify to become a part of the club. For terms and conditions for the Tropicana Casino VIP program, players need to contact Tropicana Casino for more information. Players have the opportunity to earn some extra funds by referring a friend to Tropicana Casino. There is the opportunity to earn $50 for a referral, which can lead to bets that lead to big wins. To take advantage of the Tropicana Casino referral program, players need to have their friends sign up at Tropicana Casino, putting their friend's username or email address into the referral box. Your friend will earn a $10 bonus, and you will earn $50. In order to take advantage of this bonus money, players have to use it online and must play through it at least once before it is eligible for withdrawal. This bonus money expires after 30 days. When it comes to customer service, Tropicana Casino has many ways to address your needs. They have a form on their website for players to fill out to get answers to their questions, as well as the ability to contact the casino by phone. Please be sure to visit the Tropicana Casino website to review the Terms of Service and all terms and conditions applicable to all aspects of online gaming on the Tropicana Casino online gaming sites, including, but not limited to, Promotional Terms, Reward Plans, etc., which terms and conditions and related policies may change from time-to-time at Tropicana Casino’s discretion, subject to regulatory approval.